Ever since you were in elementary school, you have probably associated the phrase “lunch box” with bagged sandwiches and individually packaged snacks in a cloth lunch box. However, insulated bento lunch boxes are revolutionizing lunchtime, making it easier than ever to enjoy your meal on the go while feeling good about what you carry it in. Below are some of the advantages of using bento lunch boxes to bring ease and enjoyment to your lunchtime. Using the office microwave and kitchen can be a frustrating experience. In almost every office, there is that one employee who insists on heating up their fish in the communal microwave. Even worse is getting to the communal kitchen late and having the majority of your lunch break “eaten up” by standing in line to microwave your food. An insulated bento lunch box can eliminate all of the frustration and enjoy your meal whenever and wherever you choose, with the added bonus that it does not vaguely taste like your coworker’s salmon. Bento lunch boxes come in a variety of sizes and shapes to seamlessly integrate with your routine. Whether you prefer to carry a briefcase or a hiking backpack, a bento lunch box is a convenient solution to cut down on the bulk of a traditional lunch box. 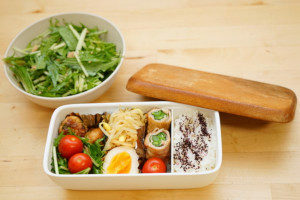 This makes a bento lunch box especially ideal for your middle schooler (or spouse) who chronically forgets to grab their lunch box before they head home from school or work. When you slide your bento lunch box into your backpack, you automatically have one less thing to remember. Finding that the contents of your lunch have spilled inside of your bag ranks fairly high among the worst ways to start your day. The chances of a rogue leak decrease dramatically when you use an insulated bento lunch box. Not only does the seal on the lunch box keep the heat from escaping, it also prevents even the thinnest sauces from finding their way onto the important papers in your bag. Also, picky eaters rejoice, there is finally a way to prevent the different components of your lunch from spilling together over the course of your meal! Not only does a bento lunch box efficiently separate your lunch from the rest of the things in your bag, it also separates your food into compartments within the box. With an insulated bento lunch box, you can relax knowing that your food is staying put and not being combined. One of the biggest factors contributing to diet-related health problems in the United States is a large discrepancy between what appropriate portion sizes are and what is served in restaurants. A bento lunch box features compartments that ensure that your lunch is perfectly portioned and makes maintaining your health goals easy. Whether you intend to gain, maintain, or lose weight, using a bento lunch box can help you portion your meals according to your dietary needs. Nothing is more frustrating and time consuming, not to mention inefficient, than trying to wipe crumbs out of the seams of a cloth lunch box. The majority of bento lunch boxes on the market today are dishwasher compliant. However, even if they are not safe to use in the dishwasher, they are still very easy to wash by hand. Bento lunch boxes have limited cracks or crevasses for crumbs to build up in. Purchasing individually packaged snacks and plastic sandwich bags can add up over years, especially when you have a child or two who needs to bring lunch to school every day. However, even those costs pale in comparison to the cost of going out for lunch or ordering your meal through a delivery service. Buying groceries in bulk and meal prepping using an insulated bento lunch box at the start of the week will quickly cut your lunchtime expenses so that you have more money to save for a rainy day. In this day and age, straws are taboo, reusable has become the new recyclable, and being environmentally conscious is paramount. With an insulated bento lunch box, you can kiss those plastic sandwich bags and aluminum foil-wrapped treats goodbye. In addition to cutting down on the amount of trash you generate, a bento lunch box will also cut back on your electricity consumption by saving you trips to the microwave. 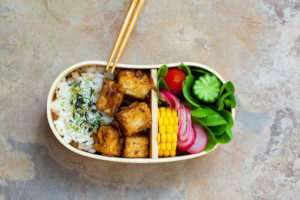 Whether you are looking to save money, reduce your environmental impact, or maintain a healthier lifestyle, a bento lunch box is sure to become your go-to container for storing food of all sorts. Kangovou offers insulated bento lunch boxes in a variety of shapes, sizes, and colors. To find a variety of high quality, BPA-free products for your family to enjoy, be sure to check out the products offered at Kangavou.com. Shop online today!